Offering you a complete choice of products which include double head water pouch packing machine and mineral water double head pouch packing machine. We are among the prominent players in the industries for manufacturing and trading Double Head Water Pouch Packing Machine for our valued customers. The offered machine is highly demanded in food processing and dairy industries. This machine is made in a sophisticated production unit loaded with high capacity machines and has earned us loads of profits as well. Double Head Width: 1" to 2.5"
We are among the prominent players in the industries for manufacturing and trading Mineral Water Double Head Pouch Packing Machine for our valued customers. 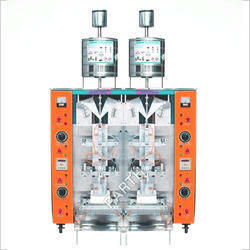 The offered machine is highly demanded in food processing and dairy industries. This machine is made in a sophisticated production unit loaded with high capacity machines and has earned us loads of profits as well. 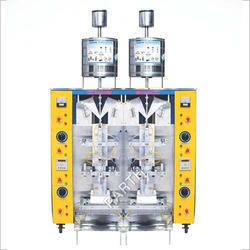 Looking for Water Pouch Packing Machine ?